The UnGroup Society hasn't added a story. We have been producing The Greater Waterbury Spirit of Unity Concert / Weekend for the last 3 years. It began as a small gathering of willing and talented community artists and musicians and has grown into a major concert with a nationally recognized singer as well as a homegrown Grammy award nominated music producer and musical director. This year we have added an entire day of day of youth engagement and empowerment. Unlike other events of this size and magnitude this Unity concert/weekend was initially started and funded solely by the community. We seek to continue to be independent of any political or personal agendas. We are dependent upon the generosity and willingness of those who donate as well as the volunteers that share our vision of a spirit of unity and cooperation. We thank you for your time and attention and hope that you find it in your heart to support us in this endeavor. 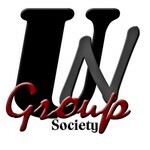 The UnGroup Society hasn't posted any updates yet. The UnGroup Society is managing the funds for this campaign.